Mediawharf is a mediastudio for knowledge and praxis at Zadkine South. The core of the Mediawharf is creative media training and apprenticeships for young people. We focus on media literacy in combination with engineering and other “hard” techniques for creating interactive installations in public space. 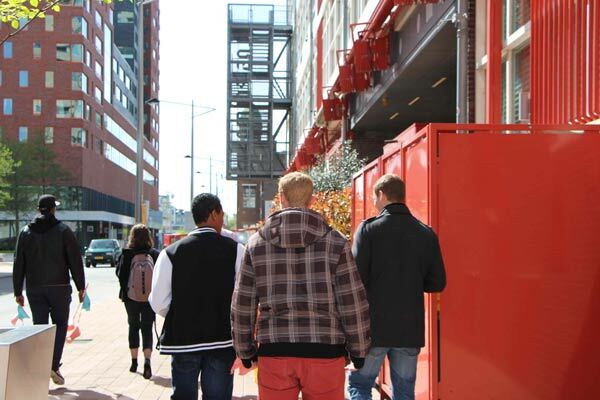 This training is provided by The Patching Zone in close collaboration with teachers from the Zadkine South, study ICT and Technology, based in the public space of the area around the Zuidplein.